Most women know that no form of birth control is 100 percent effective. For some who are on birth control pills, circumstances occasionally arise in which they have reason to wonder whether they might be pregnant. For this reason, it’s common to question whether birth control pills affect the outcome of a pregnancy test, or make it more difficult to determine whether a woman is pregnant. In fact, this is not so. Birth control pills may, in some ways, make it easier for a woman to tell if she’s pregnant, because they offer the advantage of clearly delineated periods. Watch for a missed period. Most women start their periods on the second or third day of placebo pills in their birth control pack (the placebo pills are the last seven pills in the pack, typically of a different color than the rest of the pills). If a woman makes it all the way through her placebo pills without starting a period, this is a sign that she may be pregnant. Take a home pregnancy test. While tests advertise that they are accurate several days before a missed period, tests are far more likely to give an accurate response a day or two after an expected period. Don’t worry about the birth control pills affecting the test. Only medications containing hCG can affect pregnancy tests. 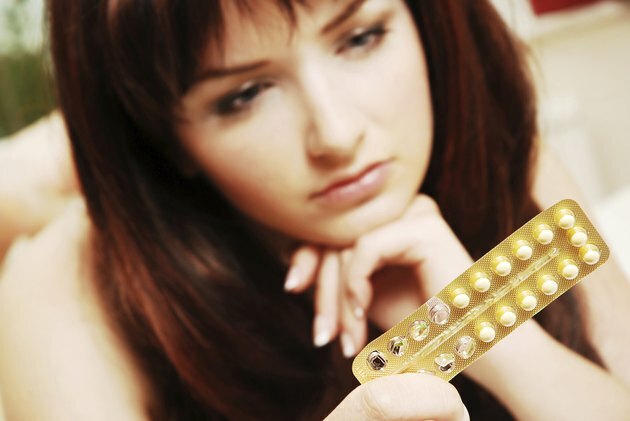 Birth control pills contain synthetic forms of estrogen and/or progesterone but no hCG. Follow up the home pregnancy test. A study published in the January 2004 issue of the "American Journal of Obstetrics and Gynecology" notes that home pregnancy tests are only 90 percent accurate on the first day of a missed period, meaning that many pregnant women will continue to test negative for up to a week or more afterward. If an initial home pregnancy test turns up negative, it’s best to wait a week and (assuming no menstrual period arrives in the interim) try again. Confirm with a physician. If a home pregnancy test reveals a pregnancy (or if more than a week goes by without a period), it’s worth visiting an obstetrician to have a blood test done. Physician’s offices can test for hCG, the pregnancy hormone, in the blood rather than in the urine, which increases the accuracy of the test. Some women don’t seem to clear hCG from the blood into the urine, and for these individuals, home pregnancy tests will never work (even when they’re visibly pregnant). For women taking "three month" birth control in which 11 weeks of pills are followed by a week of placebos, it can be a bit more difficult to determine whether conception has occurred mid-pack, since there is no missed period. Women in the middle of three-month birth control packs who start to experience pregnancy symptoms should use a home pregnancy test. As with traditional birth control, three-month birth control will not affect the results of a test.